Ever wonder how Bitcoin works in money laundering circles? It's actually fairly easy. When Bitcoin first came out, it was the currency that was used primarily for drug purchases on Silk Road. It was a "criminal currency" that was used to hide wealth from the IRS, police, or really anyone who was involved in law enforcement. After Silk Road was raided by the FBI, many politicians and investigators called Bitcoin a tool for money laundering. It seems strange to try to "clean money" using it, considering that Bitcoin is based on digital ledger technology. However, the folks in the FBI were pretty right about it being a good tool for hiding money and removing tracks. Contrary to popular belief, it's not because it's hard to connect transactions to people. Rather, it's the environment that makes crypto so good at laundering. As 2016 hacker payments have shown, Bitcoin works in money laundering methods of all kinds. Here are some of the most common ways it happens. Bitcoin is valuable now. It is worth thousands of dollars per token. It is also a digital currency that can be transmitted across the globe for minimal fees, within seconds. This means it's going to cost way less to send, and won't have as much of a proverbial paper trail as, say, a Western Union account. The decentralization makes it difficult for law enforcement to prevent its use. Since it's decentralized, Bitcoin also is hard for governments to clamp down on. Bitcoin also maintains a lot of privacy perks, since it forces people to use their own private keys. This makes it easy for someone to act as their own bank, so long as they have a computer. Lastly, it's not physical, so cops will have a harder time confiscating it. All these traits make Bitcoin an amazing tool for money laundering purposes. It's important to remember that Bitcoin is NOT untraceable. Still think Bitcoin is anonymous? A lot of people believe Bitcoin works in money laundering circles because it's untraceable. This is not true. Law enforcement has been able to trace Bitcoin purchases quite a few times, and it is only becoming easier since the invention of mainstream Bitcoin exchanges. Sites like Coinbase keep records and also have moderators that keep an eye out for illegal activity. This is because the United States treats Bitcoin exchanges and wallets like financial services. This means that companies have to have records about who's buying what, or who's sending what, and when. Cryptocurrencies got their start on the Dark Web, and that means a lot of hackers found ways to make money laundering possible. It's important to remember who the most common users of Bitcoin once were. They were people who thought outside the box and often saw themselves as tech wizards—usually because they were. This demographic that crawls through the Dark Web loves privacy, and doesn't necessarily like the law. So, the possibility remains that they are always on the hunt for new money laundering methods. I had to narrow down the most common for the sake of this article. Unethical, unregulated exchanges are the most common route of money laundering with Bitcoin. One of the easiest ways Bitcoin works with money laundering groups is as a trading tool. Blackhat Bitcoin groups create unregulated cryptocurrency exchanges that don't keep track of records and are difficult to locate without inside knowledge. Using the exchange method is simple. You exchange your coins for other currencies, switch things around six or seven times, and then call it quits. After trading currencies a couple of times, your Bitcoins are shuffled around enough to make it hard to trace. They may also use mixers to make it happen. The reason Bitcoin is traceable is because the ledgers are sent over block-by-block. Bitcoin mixers are specialized cyber-tools developed by hackers to break the chain of data so that the transaction can no longer be traced as easily. Bitcoin mixers are only used on the Tor network safely. The deep encryption of the Dark Web is necessary to break the chain and reassemble it safely. After trading with mixers, people sell their tokens and replace them with fiat money into their bank accounts. Faux lending is one of the older ways Bitcoin works in money laundering. Money laundering is not new. Al Capone did it, for crying out loud! An old method of money laundering is to loan a partner money for something. The partner then pays it back in installments. By having a partner pay it back, you will end up with clean Bitcoins, at least as far as tracing them goes. Some sites also offer stealth addresses to throw off investigators. If seeing Bitcoin mixers and unregulated exchanges wasn't alarming enough for police, they better hold onto their hats. These days, Bitcoin works with money laundering-specific wallets, too. 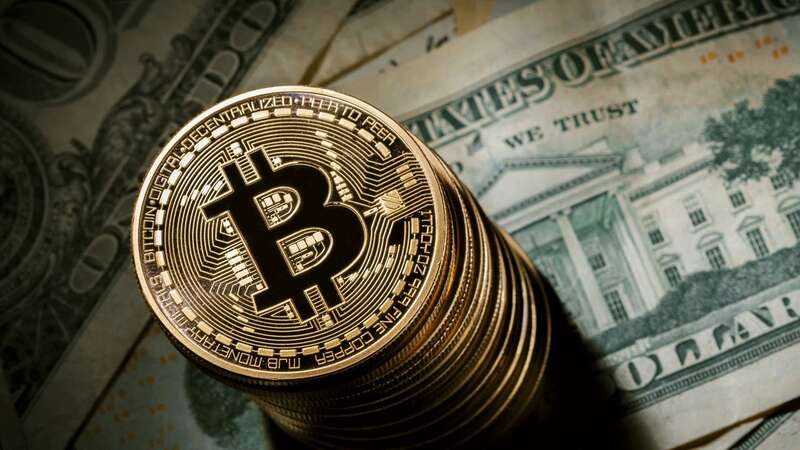 Two programmers by the names of Cody Wilson and Amir Taaki caused a huge uproar in the cryptocurrency community after they developed what a lot of people would consider a "cryptocurrency specifically for money laundering." Their invention is called Dark Wallet, and it's been online for years. It uses mixers and stealth addresses to provide anonymity that other wallets either haven't yet utilized or simply refuse to take part of because of the connotation with illegal activities. Some groups are using crowdfunding platforms to launder cash as well. Swarm is an online crypto crowdfunding platform that is all about helping people invest—but lately, it's seen a decent amount of suspicious activity. In theory, large groups who want to launder money or send it to a particular person could crowdfund for a project using Bitcoin. These "investors" all collude together to invest in a random project on a certain day. They then "donate" their investments to the recipient. The recipient gets it after investing is done, and there's no way to tie the money to illegal activity for anti-money laundering bodies to track. Some even go so far as to use their tainted coins for MMORPG characters to sell for cash. You know how you have that one friend who would pretty much spend a fortune on League of Legends? Well, they may end up bridging the gap for money launderers. We all know that people pay top dollar for good game characters that have maxed out stats or are special edition. In a lot of cases, you can buy them with Bitcoin, which is the main reason why Bitcoin works in money laundering. What launderers will do is sell the characters for cash after they buy them with Bitcoin, turning over a pretty quick profit. What I'm saying is that Bitcoin works for money laundering really, really well. Law enforcement has yet to find a solution to these criminal activities, which is why Bitcoin is the virtual currency that these types of people have been waiting for. It's so difficult to regulate and so easy to hide, criminals can get away with money laundering in a heartbeat. Is crypto going to be illegal because of this? Will any of these people be caught? No one knows for sure, but so long as Bitcoin is unregulated and there are ways to wash it, it will go on working with money laundering until something changes.